Not even two months after Chipotle temporarily closed 43 restaurants in the Pacific Northwest amid an E. coli outbreak that resulted in 52 sick customers in nine states — and the same week that a Boston Chipotle had to be shuttered after being linked to around 80 illnesses — the burrito chain has had to shutter a Seattle eatery after being repeatedly flagged for serious health violations. 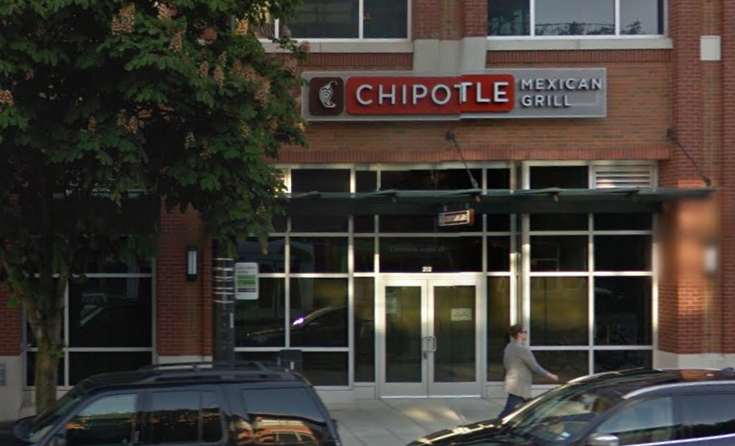 According to the official blog for the Public Health department of Seattle and King County, a Chipotle in the city’s South Lake Union neighborhood had been flagged for so-called “red” violations on three consecutive inspections. A red violation involves the sort of behavior that inspectors believes is most likely to contribute to the spread of food-borne illnesses, like contaminated food or poor temperature control. When these violations are found, the restaurant is made to remedy the situation immediately. Officials explain that none of the three red violations at this Chipotle were serious enough to shutter the restaurant on their own. The department says it has one, unconfirmed report of a person who may have become ill from eating at this particular location, but no connection has been proven at this point. In the weeks since the E. coli outbreak, inspectors have ramped up their efforts to monitor Chipotle stores. Since then, a total of nine locations have been flagged for red violations, but only the one restaurant has been flagged so frequently that it merited being closed. Yesterday, Chipotle founder and co-CEO Steve Ells apologized for all the illnesses linked to his restaurants.